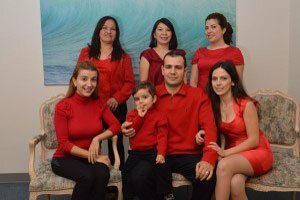 Dentist Burbank, Dr. Sahakyan uses digital X-Rays to diagnose the condition of the oral cavity and diseases of the teeth and monitor the effectiveness of the treatment. In modern dentistry, the formulation of an accurate diagnosis, quality treatment, is impossible without the use of dental X-rays. Call 1-818-578-2324 for an appointment today. The use of X-ray examination is necessary for many areas of dentistry. During the treatment of inflammatory processes of the tissues holding the tooth, with the installation of dentures, implants and tooth extraction. Why Do You Need Digital X-Rays of Teeth? More than half of the tooth plane is in the gum and cannot be visually inspected by a dentist. In this case, the examination can be carried out only with the help of an X-ray. X-ray images are used to diagnose diseases, in the treatment process and to monitor its results. recurrences of caries under seals and crowns. Caries in the interdental spaces, which in most cases cannot be diagnosed during clinical examination. The condition of teeth and existing fillings, crowns and other means of restoration of teeth. Assessment of the condition of periapical bone tissue for periodontal disease and periodontitis. The spread of computers has led to the emergence of digital radiography. In dentistry, radiovisiographs are used to convert information from the peripheral ray tube after exposure to a digital graphic image. The device is characterized by high accuracy of signal perception, which is transmitted for processing to the software. The dentist sees the image on the monitor screen. Modern software allows not only to enlarge the picture but also to form a three-dimensional reconstruction of the investigated area. A radioheliograph is a small device that is connected to a personal computer, which allows the signal to be transmitted from the detector to the software environment. To register radiation after passing through the tissue, a special sensitive sensor is used. The sensor captures the information and transfers it to the computer. The use of videography in dentistry made it possible to reduce the dose of radiation exposure to the patient. With the classical film technology for a high-quality picture, a choice of higher exposure modes was required. Digital radiography in dentistry made it possible to reduce the radiation load by 90%. 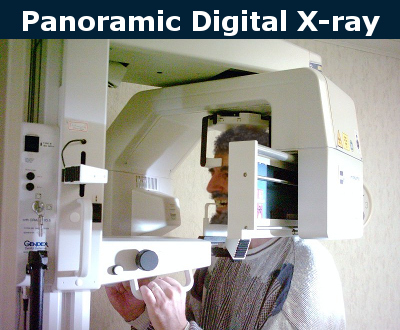 What Ways is Digital X-Ray Performed? X-rays are typically performed in the dental office. The entire system for digital radiography includes a display, a keyboard and a computer that is connected to the scanner. The scanner is usually installed in an X-ray machine. X-rays pass through the tissues of the patient and fall on a special plate, which is immediately scanned, and the resulting scanned image is transferred to the computer. The dentist Burbank can immediately see an X-ray without any film. Intraoral X- rays are the most common X-ray images. 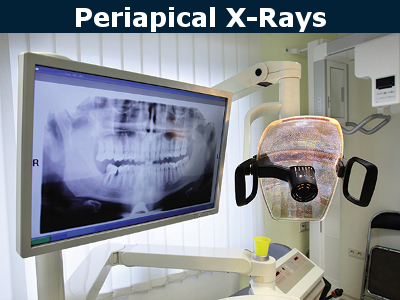 Intraoral X- rays are used to check the development of teeth. They give detailed images of the teeth, highlighting caries, the roots of the teeth and the bone state. Extraoral X-Rays are used to determine the retention of the teeth, to track the development and growth of the jaw. It also determines potential problems that arise between the teeth, jaws and other bones of the face. 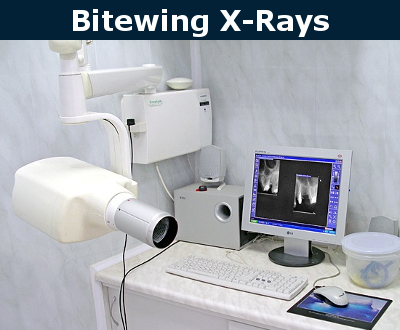 Bitewing X-Rays are used to detect carious cavities. In this case, the patient needs to bite a special piece of plastic with an X-ray film in the middle. With a bitten image emphasizes the crowns of teeth, while showing the upper and lower teeth properly. It also diagnoses tartar or light recession of the gingival bone and evaluates the quality of the rehabilitation treatment performed. Periapical X-Rays show teeth in general, from the crown to the root and bone, where the tooth is attached. They are used to identify periodontal diseases, abscesses, retina teeth and other problems. Panoramic X-Ray gives a full picture of both jaws. Dr. Sahakyan, at My Dentist Burbank uses Panoramic X-Ray for the removal of wisdom teeth and also for pathologies of tooth growth. This image provides reliable information on past procedure for restoring the teeth. It identifies problems of jaw joints and gum disease. It also shows other pathological changes that were not detected during clinical inspection. Digital X-Ray allows a smaller amount of radiation to get a diagnostic image. The dose of radiation is 90% lower than in conventional X-rays: radiovisiography is no more dangerous than a digital camera or an office scanner. It is not contraindicated for children, nursing mothers, and even pregnant women. Saving time. Do not have to wait, until they show the film. The picture will immediately appear on the monitor in the dental office. Enhanced X-ray image quality. 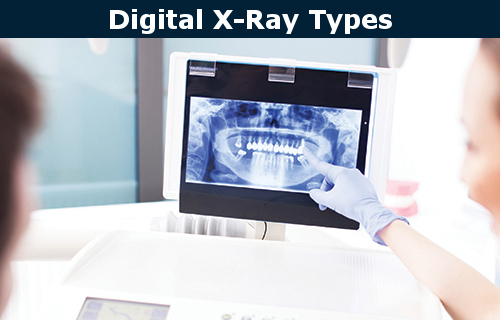 Digital X-ray provides an understandable and reliable diagnosis. It makes the diagnosis more visible for patients. Identify cavities hidden by dental structures and loss of bone mass, which may not be visible on visual examination. The procedure excludes any errors associated with the use of poor-quality film, errors in the manifestation. Such X-ray capabilities allow the dentist to quickly adjust the treatment, reduce the number of complications. The storage of information on a computer and digital media. Digital X-ray uses a narrow beam of X-rays and a short duration of radiation. Thus, dental X-ray examination is extremely safe. Please contact Dr. Sahakyan, at My Dentist Burbank, if you need X-Ray examination. Call 1-818-578-2324 for an appointment today.